A place full of history – the legendary Irish poet Thomas Moore was born in that very same building – and old Irish traditions, Dublin’s JJ Smyth’s is city premiere’s venue for live jazz and blues. Dublin and Ireland more in general are known worldwide for a series of things: incredible green landscapes, its dark beer, the myth of leprechaun and folk music. Not many know that Dublin – the city of Oscar Wilde, Guinness and the prestigious Trinity College – hosts JJ Smyth’s, one of the country’s finest live music venues. Jazz and blues are the house’s special, with performances by artists of the two music genres being presented several nights a week. JJ Smyth’s is a club immersed in history, for the fact that Irish national poet Thomas Moore was born, on the 28th of may 1779, right under JJ’s roof. It’s needless to say that this alone represents a reason to stop by JJ Smyth’s. It doesn’t happen often to have the chance to spend an evening in a location, which a couple centuries before a great child prodigy was born in. 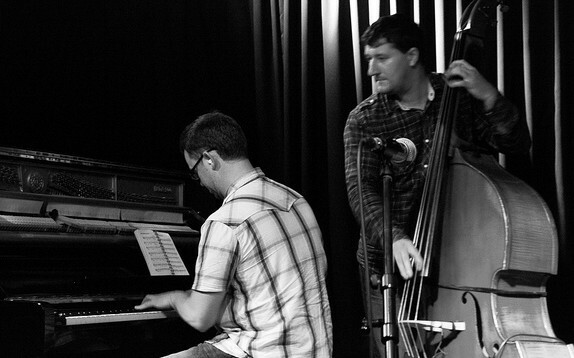 Nowadays the venue is famous around Dublin for being the restless point of the always-active jazz scene. The packed schedule includes concerts almost every single night of both jazz musicians and bluesmen. While the majority of the performers are based in the UK, it’s not rare to see a name of international prestige in the monthly programme. The club simplicity is mixed to the strong character of traditional Irish pubs, in a combination that creates the perfect environment for a music fan to be in. The friendly staff and ice-cold beverages makes sure that everyone is served in the best way possible. The personality of the Irish pubs culture, combined with a jazz personality and a touch of blues…this is JJ Smyth’s! Reading through the monthly programme is recommended, since nights of performance and prices vary. Fantastic 3 piece The Hot Club of Cowtown on a UK tour in November……no Irish date….?????????? ?